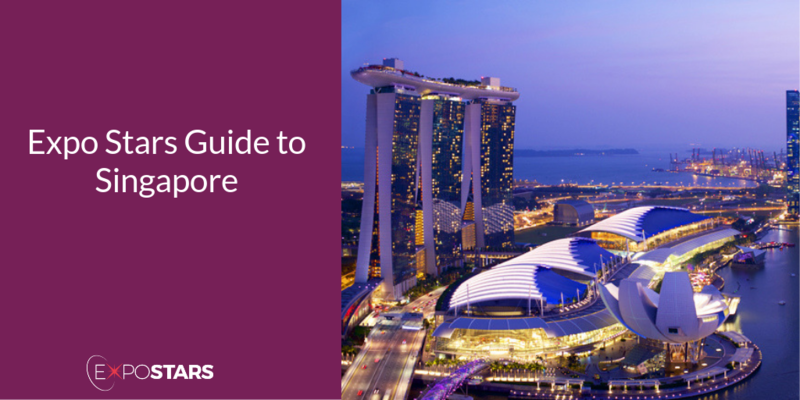 Singapore is a beautiful mix of Western modernity combined with Asian culture. In most cases, you will encounter Singaporean Chinese when conducting business as they form the majority of the population. Singapore is an appealing business hubspot, ranking as the third wealthiest country based on per capita GDP, but most importantly it is listed among the least bureaucratic countries in the world according to the IMD World Competitiveness Yearbook. By air: Singapore’s Changi Airport is one of the busiest and best connected in the world. By sea: As a leading homeport in the heart of Asia, Singapore is one of the world’s busiest seaports. You can take a metered taxi or you can try out Singapore’s MRT (mass rapid transit) system. Chewing gum is banned, seriously - outlawed in 1992. Chewing tobacco, e-cigarettes and snuff also prohibited. Singapore Expo Convention and Exhibition Centre - this is a leading venue in Asia and the largest purpose-built MICE facility in Singapore. If you aren’t staying in Raffles Hotel, then at least go down there, kick back and enjoy a Singapore Sling in one of the most beautiful, iconic colonial-era buildings. Gardens by the Bay - a huge, colourful, futuristic park in the bay area. Iggy’s - for an award-winning, modern-European take on Asian dishes. Wild Rocket - 'mod Sin' cuisine inspired by street food, but turned up a notch. For the best street food Laksa, head to Roxy Laksa Stall, 48 East Coast Lagoon Centre. Mr Lim, who is secretive about his family's traditional recipe, uses plump prawns and hot chilli paste in his jet lag-busting noodles. English is the working language while the official languages are Chinese, Malay and Tamil. There is a local vernacular, Singlish, which is essentially English peppered with local slang. You do not need a visa for tourist or business visits up to 90 days. Singapore uses the three rectangular plug socket commonly seen in the UK. The general advice is to be courteous at all times. Avoid discussions about topics like religion, racial issues and politics. Business breakfasts are rare in Singapore. Lunch is the preferred meal for business discussions. Gift giving is a common way of expressing thanks. Small business-related gifts such as a pen with the company logo will be sufficient.